Decoration : This woman buys a dresser in a garage sale but only keeps the drawers ... What she does with it is wonderful! This woman buys a dresser in a garage sale but only keeps the drawers ... What she does with it is wonderful! 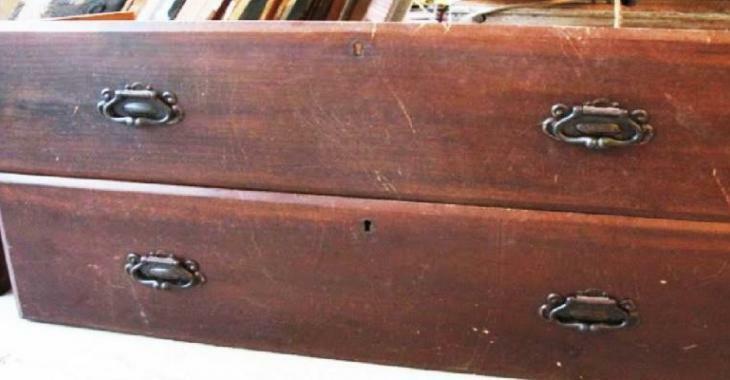 You have an old dresser that you are about to get rid of? If so, you may want to keep the drawers before puting the dresser on the pavement. If you are a handyman, you can make them practical and decorative objects that will be useful in all rooms of the house. With a little paint, wooden legs and hardware, a world of possibilities is available to you. See how these people retrieved drawers from used furniture and use that inspiration to make a small DIY. We love this practical storage box that will quickly become essential in the living room or bedroom. It is also a great idea to store toys in a child's room. Why spend for storage units for the bathroom? This drawer works perfectly and suddenly, it is much more aesthetic than cheap melamine shelves! If you collect beautiful objects, use a few small drawers to decorate them. To make a tray or shelf quickly made, pick up a small drawer and decorate it with paint and wallpaper. By adding some wooden legs, a board, padding and fabric, here is a very chic ottoman!